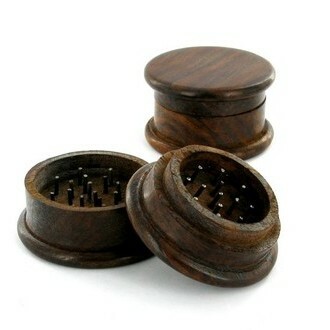 This chunky hardwood grinder uses brass pins set in the lid and base to create the grinding effect. 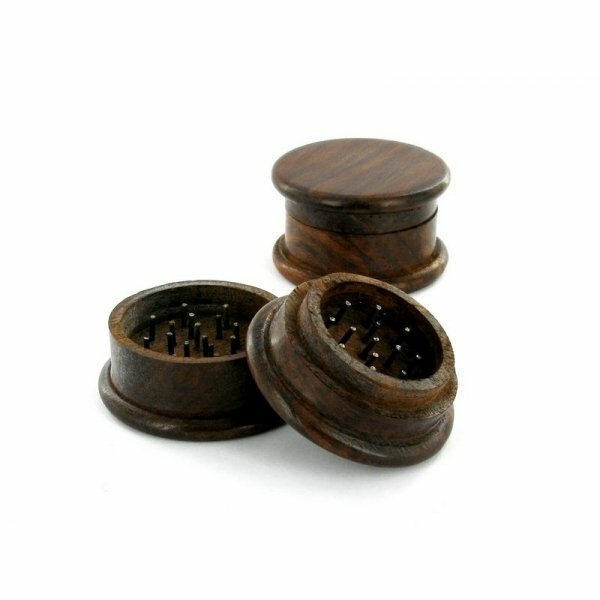 Made by Indian craftsmen, this 2-piece weed mill is simplicity itself. Sits in the hand with a satisfying weight. So it’s a resounding Namaste, bud grinders! Very good quality for a good price. I find no problem with it! Welchen Durchmesser hat der Grinder?